Beneath Erynn's petite build, curly red hair, and startling blue eyes, lies a deeply hidden secret.If the truth about her were revealed, her life would be in danger. Her dream to be a fighter pilot would tailspin,crash, and burst into flames. Jaer's wise brown eyes reflect his smoldering strength. An enigma, charismatic and moody, he is a physically powerful warrior who defends his world. A warrior afraid to love because of mistakes in his past. When the presence of a marauding alien society is discovered on their planets, a struggle of life and death begins. Both Erynn and Jaer's worlds face annihilation. A mysterious force plunges Erynn into Jaer's cold, dangerous, and beautiful world with its magical essence and living consciousness. Both the alien enemy and this strange inexplicable power purse Erynn. 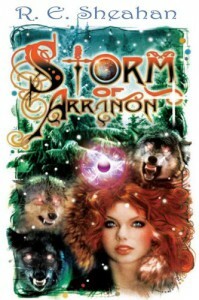 I wasn't really sure what to expect from Storm of Arranon. I'm not a sci-fi fan, per say, but I do love fantasy, and this book has a pleasant mix for lovers of both genres. 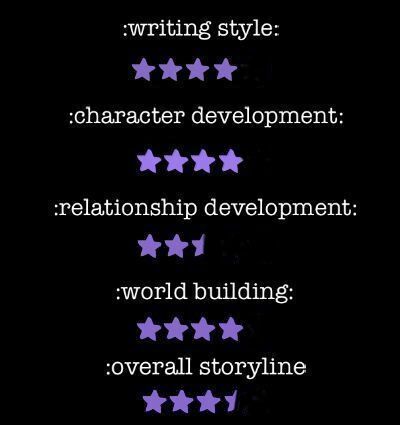 Erynn is a strong and admirable heroine, someone readers will relate to and root for. Suddenly kidnapped from her home, she's thrust head on into a war on an unfamiliar planet with people who seem to know more about her than she does. She takes her fear and uses it, propelling her forward to do what needs to be done, learning who she is and what she is capable of. I liked Jaer and the "strong, silent" persona he exuded. He's a bit of a mystery, but his demanding presence is difficult to ignore. The romance between Erynn and Jaer felt forced to me, and I thought it was a little rushed. From the moment they met, we got glimpses of Erynn's gushing, and I just had a hard time believing it. I can understand instant physical attraction, but Erynn's feelings seemed to try to go deeper than that, and it just wasn't genuine. The writing style is beautiful and very descriptive, creating a fantasy world that's effortless to envision. 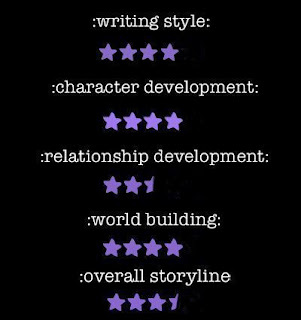 I did sometimes feel overwhelmed in the surroundings to the point that I lost my grip of what was actually happening, but I will definitely say that the author has a real talent for world building and will draw you into the story with her creative imagination. Arranon was amazing in its brutal beauty, with its unusual animals and unique people. Like I said, I'm not much of a sci-fi fan, but Storm of Arranon was a pleasant surprise. It's a book I'd recommend for science fiction and fantasy fans, and I feel it's a great read for an audience of any age group.